Quiet environment, family atmosphere, suitable for children, hot showers, clean toilette. Thanks for everything Lesley. This is a wonderful site. The kids were free to roam and explore, finding hidden rope swings and gathering kindling. 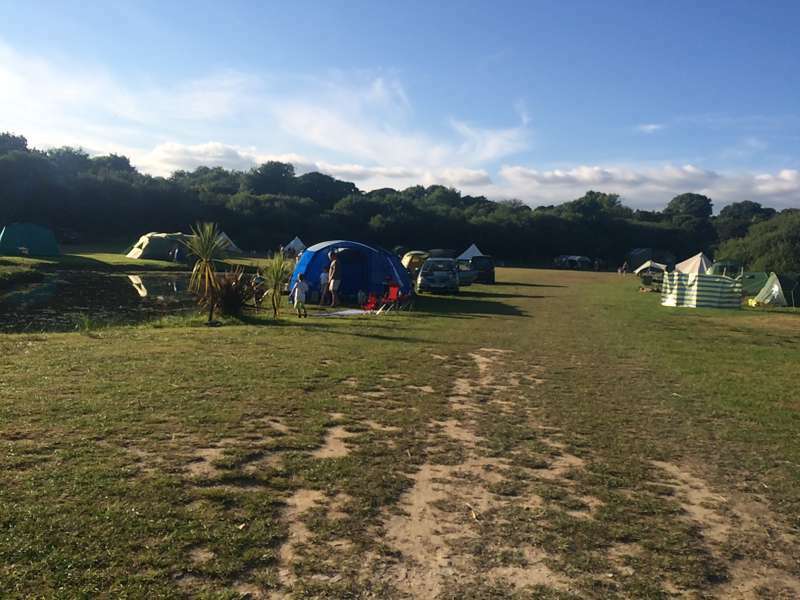 The hosts are very relaxed and friendly - it was lovely being able to it around a campfire at night-time and have friends come to visit us on site with no fuss at all. It is a very peaceful site and it was not overcrowded at all. The only downside was the toilet/ shower facilities. There are a couple of new showers that have been built along with compost toilets (but I confess I was not brave enough to try these) and that left only one loo on site in a very old loo block. I felt it was expensive considering the lack and state of these facilities. The only other slight disappointment was the fact that electric pitches were limited to one corner of one field, meaning these pitches were much closer together than non electric pitches and there was not much choice where to pitch unless you brought several cables. That said, we had a fantastic break here and would definitely recommend and return. Beautiful, spacious and fun with boats! We had such a lovely time. Yes you need to negotiate the goose poo, but to get visits from geese, and see them wandering about with their young is brilliant (we went in May). For the children there are animals to visit, a fort in woods to find and play in, several rope swings, and the boat on the lake to potter about with. We loved it, close to some cool places too. Our favourite place was Charlestown - we went there twice hoping to catch a glimpse of Poldark! Thank you for your review, we're so glad you loved our site and had a great holiday. The Geese are lovely, they came as a couple a few years back and have returned every year as a growing family. We love them but they do leave some droppings, good for the grass but not so nice underfoot. To help with this we're leaving some brooms for campers to sweep up outside if they wish and people can camp in the other field with no geese. The geese normally leave before the school summer holidays. Thank you for your review and feedback. Just to let you know we have built a new additional compost toilet and shower block for 2019 so we now have 4 showers and 6 toilets in total. 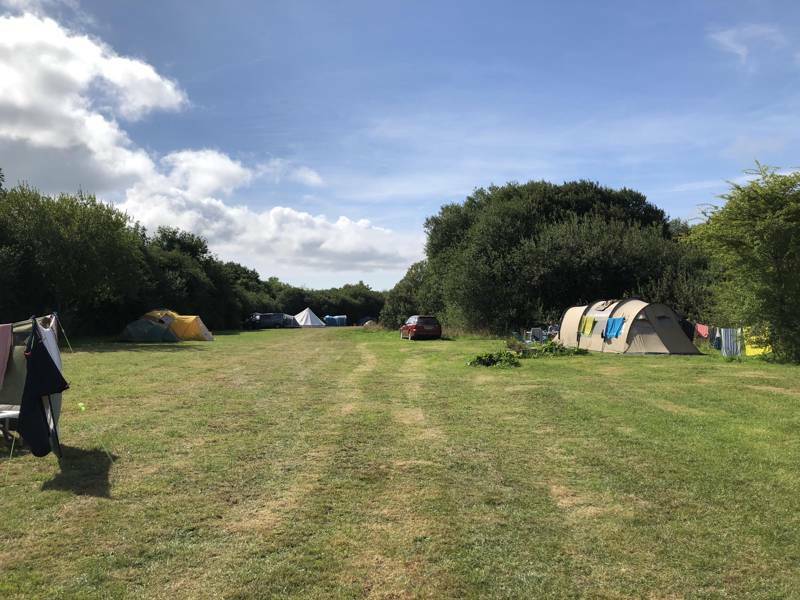 Our site is large and we try to keep it relaxed with no set pitches and no locked gates (but we do ask campers to keep the noise down after 10pm). So I'm a bit confused why you say there were too many camping pits as we do not have set pitches and camper can choose a quieter/spacious spot if they wish. 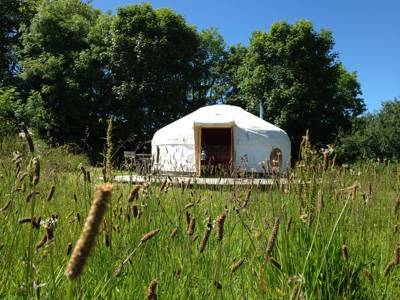 This is a charming wee site tucked away in a village near St Austell and is well placed for beaches, Eden Project etc. The facilities are basic (I wish they would add a sink for washing up!) but functional with lots of hot water.. 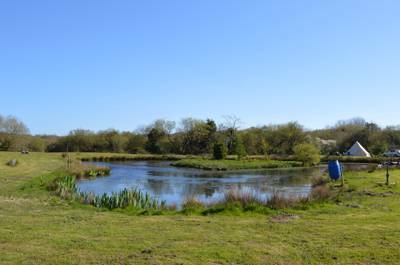 The centre piece of the camping field is a small pond which children (and adults) can spend hours paddling around in a small boat. Unfotunately in the late spring it also attracts a small gaggle of Canadian geese who spend a month or two in May and June rearing their goslings. The great advantage of this is too see these creatures up close, with their very cute youngsters. The disadvantage is that they can be boisterous neighbours and do a lot of geese poo all over the field! Check your shoes regularly! This was our second visit here and still absolutely in love with this campsite. It's simple but perfect. 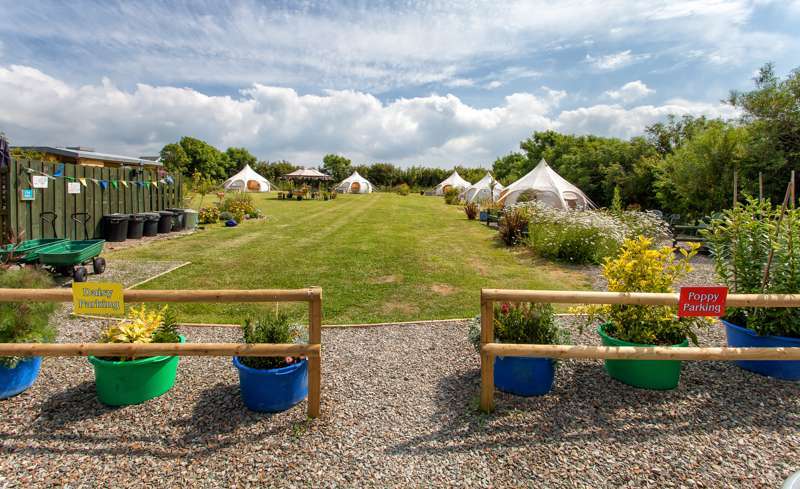 The owners are friendly and helpful and the facilities are perfect too. Definitely becoming an annual stay now for sure. The pleasant streams is indeed a nice place to camp, with the pounds and the streams but one cannot give it a ‘glamping’ Status. The site is crowded. Too many camping pits one next to the other. Combined with the fact that there is only 1 showerblock with 4 toilets and 4 showers ( for over 200 visitors ).... it is not glamour. Tony does the best he can to give the guests a pleasant stay but the deteriorating state of the campsites shows that one man is just not up to this. I would name this place “a pleasant camping site” and adjust value to money. That would be more fair to the visitors. Just stayed here with my partner for 3 nights to get away from everything and that's just what we got! Beautiful campsite run by the loveliest couple, toilets and showers available, yes one per gender but they're clean, well maintained and beautifully rustic. The site itself is stunning and most of all no wifi or 3G - no distractions!! The area we stayed in had a beautiful pond in the middle, complete with small boat which you can just jump into and row around in. The wildlife in the area is amazing and we were lucky enough to share the field with a family of geese who potter around and we even woke up one morning, opened the tent and they were right there... just so magical. Plenty of space and lots of campfire spots which we used every night. 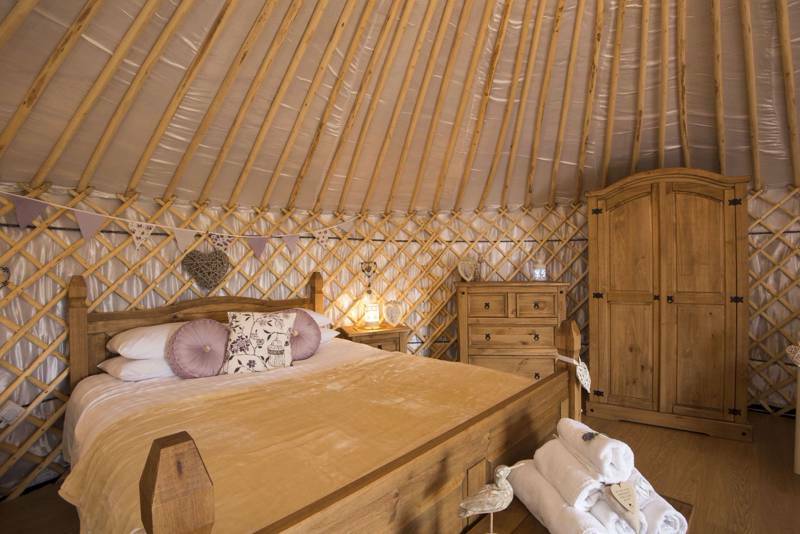 Definitely recommend this site, and already looking at going to stay there again ourselves! Thank you Pleasant Streams Farm! Facilities let down a potentially wonderful site. I completely agree with CATmurphy's review and had signed up to this site with the intention of leaving similar comments! 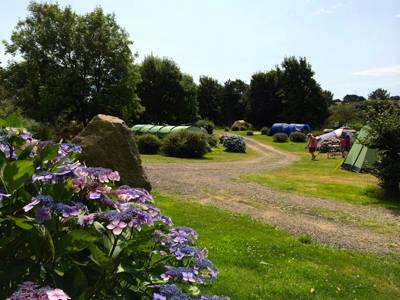 The campsite is charming and secluded with a relaxed atmosphere compared to regimented pitches so that is a big plus. I agree with the other reviews about the benefits of peaceful, rustic camping with the joy of open fires, however the toilet facilities were the worst I have ever experienced. The ladies smelt of stale urine and were far from clean. Previous favourable reviews are at least a year old so perhaps they were of sanitary condition back then. 50 pitches need more toilets and showers. 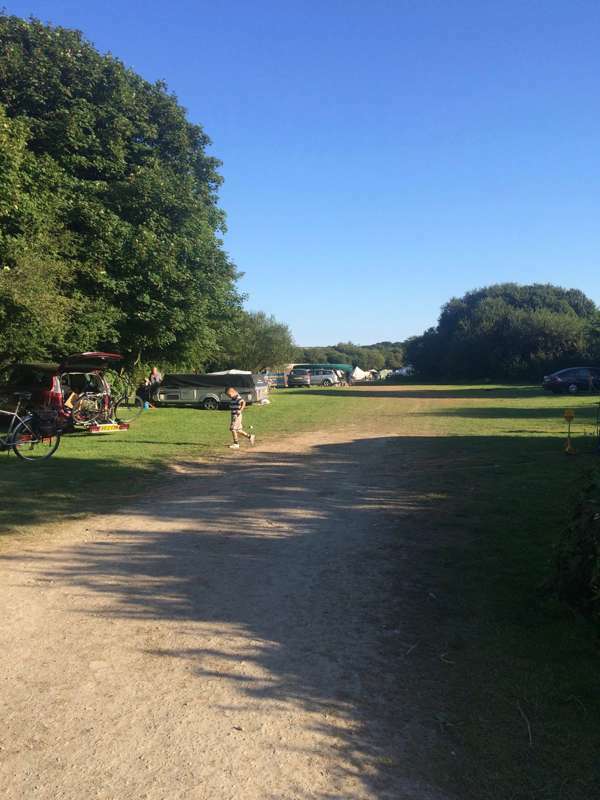 The lack of washing-up facilities is also bizarre with campers being expected to throw dirty water in the bushes to then smell in the sun and attract flies. We have teenage children who would refuse to return to the site based on the toilets. Even my son who has done extensive basic camping with scouts, army cadets and D of E would expect more luxurious facilities to relax on holiday rather than feel like it's a survival mission! I really want to love this place but there are certain criteria a campsite must fulfill. 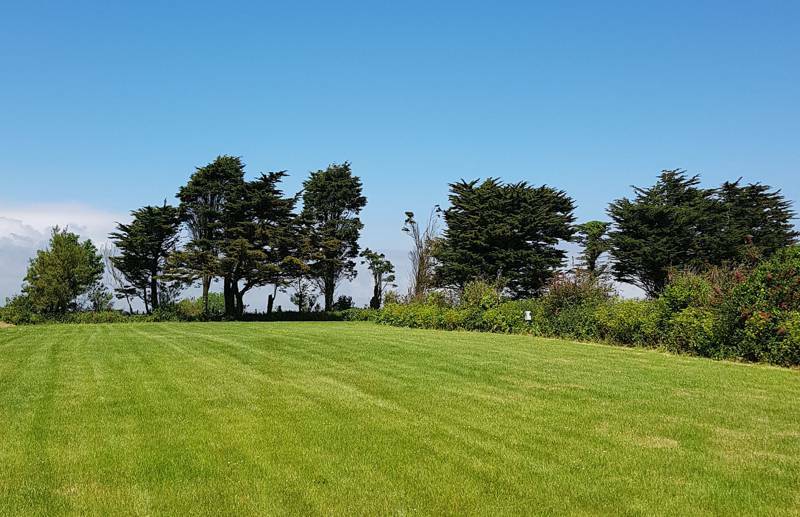 It has an idyllic setting and is a super base for exploring the South Cornwall coast, beaches, gardens (Trebah, Eden Project, Helligon etc), for cycling, Charlestown, sea fishing from Mevagissey and so much more. 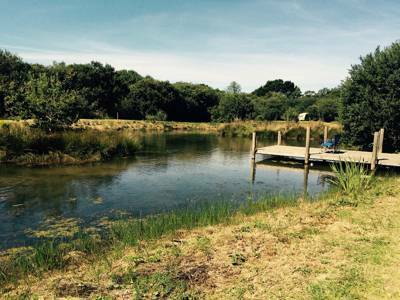 The lake and the wee boat provide a great focus and hours of entertainment for the kids and adults alike, the surroundings are very relaxing and peaceful and it is great to be able to have a camp fire. I am used to rustic camping and don't mind simple, basic facilities but they need to be clean, easily accessible, provide plenty of hot water and the price needs to reflect the facilities on offer, I felt this was a little expensive for the facilities on offer and we were rather paying for the idylllic setting and location. The filthy flooring in the ladies' shower area was precarious and unsettling due to several loose floorboards, which gave way under foot. During our 3-night stay the facilities did not seem to be cleaned properly, the tiny bin was regularly overflowing, there was often no toilet paper and the shower's water flow stopped unexpectedly - I don't think the boiler could cope. Each shower block, ie gents' and ladies' contains 1 shower, 2 toilets and 2 sinks, respectively. I think there are approx. 35 pitches, so a 2nd shower for each gender would help. Washing-up facilities would also help greatly. The owners are building another toilet block at the entrance to the second field which might be ready for next year, but they also need to refurbish the existing one at the entrance to the first field, it is so awful. Would I go again? Possibly but I hope they sort out the facilities. We stayed for a week at the site at the beginning of August. The site was very quiet when we arrived and we pitched near the pond in the main field (there are a number of different fields to pitch in). We had a fire pit and were near to the toilets and showers. 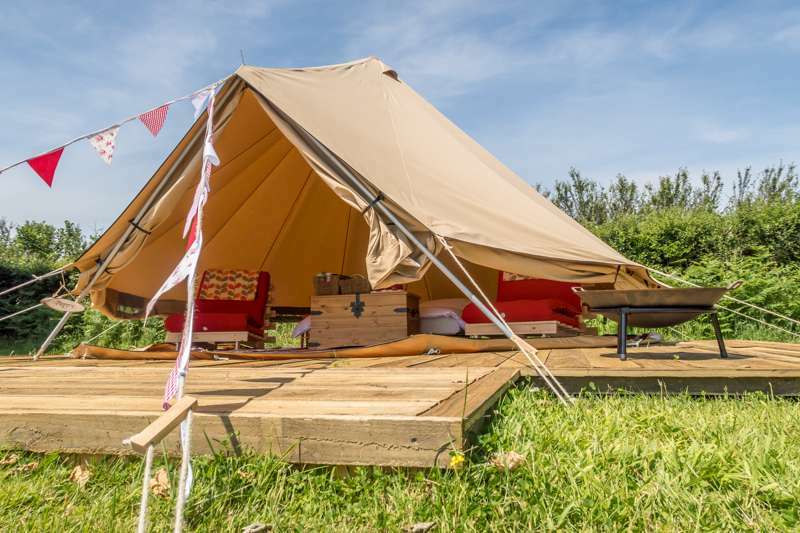 We loved how peaceful the site was and the kids loved running around, taking the boat out on the pond, seeing the animals and exploring all the different fields. The camping fields are lovely with and we loved watching the bats swoop around in the evening. The toilet and shower facilities are basic but adequate, they did get busy when the site filled up (there is only one block with 4 toilets and 2 showers) but it just meant a small wait at busy times. 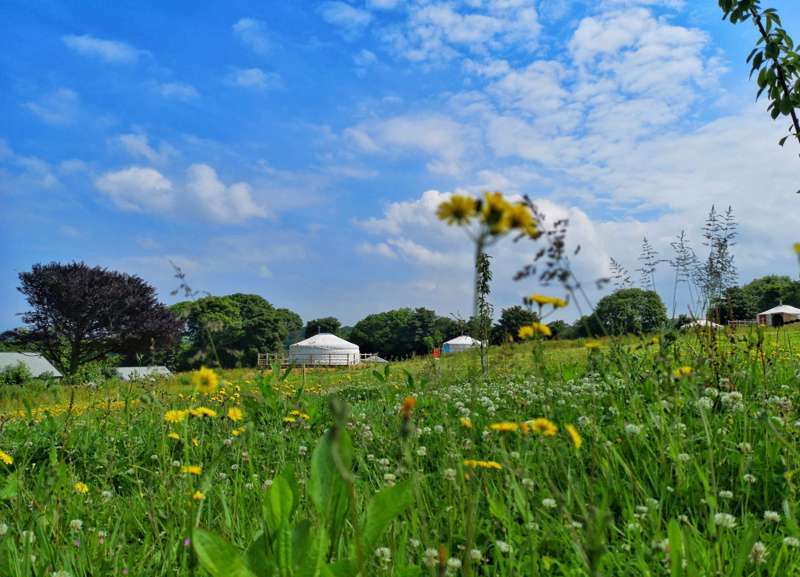 The site is close to some lovely attractions including the Eden Project, The Lost Gardens of Heligan, Porthpean beach and Pentewan Sands. We loved our stay and would definitely visit again. We stayed at Pleasant Streams for two weeks in July/August of 2014 and it was the finest camping experience we have ever had. We were worried about camping with two toddlers but the owners were fantastic and helped us find a great spot in a quiet field which stopped us worrying about the noise they create first thing. They also helped us find some of my son's toy trains he had lost and were always on hand for help and advice on the local area. The site was refreshingly free of rules and regulations and being able to have a camp fire every night in a location free of traffic noise made for a magical atmosphere. The kids loved seeing the pigs, ducks and geese and running around the site which has so many interesting bits to explore. We'd never been to this part of Cornwall before but were amazed by the quality of the beaches and the sheer variety of potential day trip locations. You're never stuck for days out but on a campsite like this it's also great to just take it easy in the surroundings and get back to the simple things. We were glad we couldn't get phone reception as we switched them off for two weeks, disengaged from work fully for the first time in years and had a holiday we'll never forget. While I've seen the facilities described as basic, we found them perfectly adequate even with two toddlers and never had to queue too long for the showers. Can't wait for a return visit next summer! Stayed here for 2 nights with family in August 2014. The facilities are very basic and there simply aren't enough of them. One shower for men and one for women. The small toilet block is in bad need of investment. Nowhere to wash up your crockery, pots and pans. Best avoided. 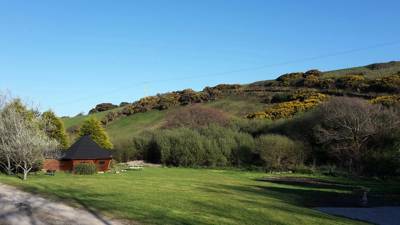 We visited this campsite recently and feel moved enough to write a short review. 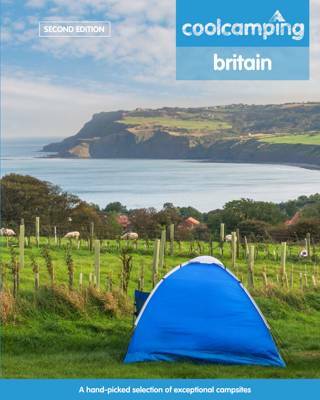 Overall this campsite does not warrant the 5 star rating depicted on Cool Camping. The facilities were at best poor; one shower and a couple of toilets each for M/F. These were dirty and flooded constantly even when it was sunny and dry. There was one outside cold tap for washing dishes. Tony was friendly but apart from that, the other staff were not friendly nor welcoming and seemed more interested in driving around collecting the Tariff (at times asking even when it was not due) than taking any genuine interest in the people using the site for their holiday. We will not be back. Lovely camp site, simplicity all round, very natural site without marked out pitches or any of that nonsense! Very very peaceful with lots of wildlife. Lots to explore on site with two lakes and a plenty of fun to be had in the rowing boat. Extremely friendly and helpful owners, but pleasantly hands off, just there if your looking for them. Would definitely visit again! If your don't like tacky walls ice cream signs and wardens patrolling the pitches then you'll love this site...if you do like those things that your probably beyond help anyway...highly recommend if you like natural relaxed sites! This is a beautiful campsite. A lot of effort has been spent on making ponds and planting trees for wildlife. We stayed in May and watched a dabchick swimming near her nest. There are rope swings, streams and hidden paths to explore and lots of space for everyone. I have been to this site twice in the last year, its so laid back its great. The kids loved it, animals to feed and rope swings out over the stream... superb. At night you can have a open fire to toast marshmallows on, while sipping hot chocolate or sit back and watch the bats flying over the lakes. 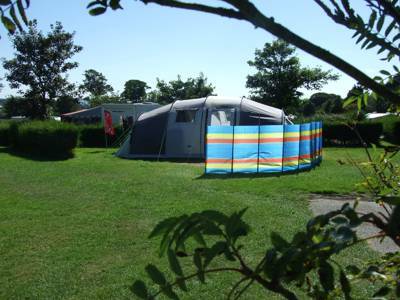 The site has hot and cold water,toilets and showers and NO club house or bar, but you don't need a club house or bar. Just fill the ice box with beer and a fruit based drink for the ladies and sit back and relax. Stayed for four nights in August 2013. Was exactly as described. Really chilled, pleasant campsite. No set pitches meant that everyone enjoyed plenty of space, all round a little lake with a rowing boat. At night we enjoyed the stars, the campfires, and the quiet. The owners couldn't have been more welcoming and helpful, directed us to a couple of wonderful little beaches not far from the site. Hewas Inn is well worth a visit, decent food and a friendly welcome 5-10 minutes down the footpath directly opposite the campsite entrance. All-in-all a fantastic site which I couldn't recommend highly enough. We have just come back from a week at Pleasant Streams and all had the best time camping. It is the perfect place if you want a quite and relaxing holiday. The owners are really friendly and you can see they have put their heart and soul into making it what it is. The boating lake and fires helped to create an idyllic retreat. There was a lot of space between tents and you never felt like you were crammed in. Our kids (3 and 6) loved the place and met some of the animals there. They played in the summer house and also met a lot of friends. We would definitely go again. 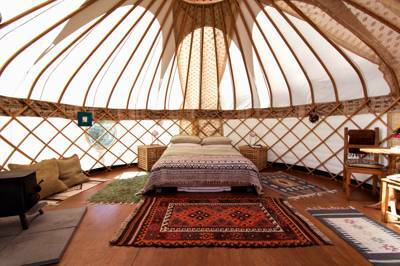 The owners are uber-friendly, the site is huge, and has a feel of total serenity. 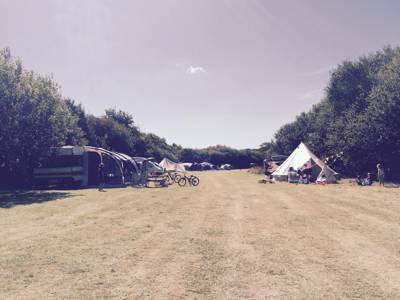 We stayed for a couple of nights and I spoke to the owner and asked if we could be away from other campers – no problem at all, the site is so big, with a few different fields so easy to hide away. There are a few ponds (mini lakes) with boats so you can row around in the sun. Shower and wash facilities are adequate, and clean. It very very picturesque, and you feel completely relaxed with no noise except birds and the occasional cow. Lots of farms chickens, goats and pigs to make a fuss of, and beautifully maintained flowered "hidden" gardens surround the area. Logs are available for purchase and if you need anything else, St.Austell is about 2 miles away. Mevagissey is about 5 miles away too, and is a lovely town. Please don't bank on any WiFi – there is none, and no Wifi in Mevagissey either (3G). Ducks, geese, pigs and goats! 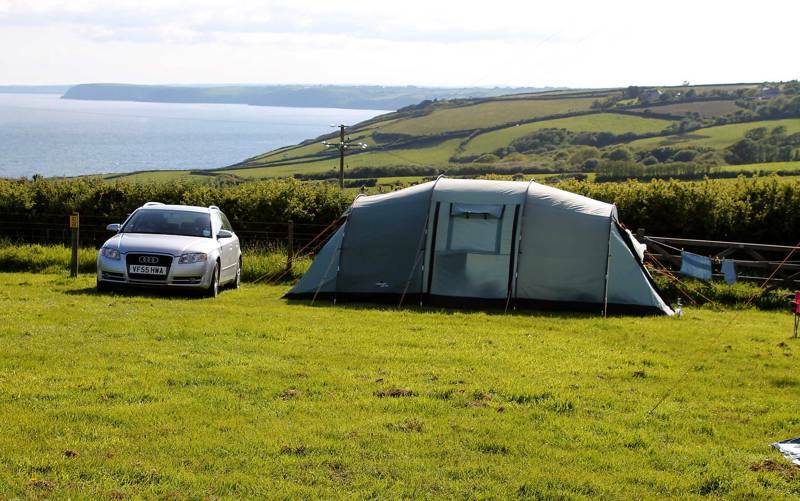 We stayed at this campsite in early June and used it as a base to attend an Eddie Izzard gig at the Eden Project and to enjoy the Cornish coastline. The campsite has idyllic scenery and has a cool pond and rowing boat to enjoy, complete with duck and geese onlookers. The owners were incredibly friendly and also kept a couple of pigs and goats. I'd recommend this place as an excellent place for those wanting to stay in nice countryside surroundings.